For the occasion of the exhibition Koos Breukel, Roy Villevoy – Tí, Foam Editions proudly presents this portrait of a young inhabitant from Korowai in South East Papua. In this small village the people live for generations isolated from the rest of the world. 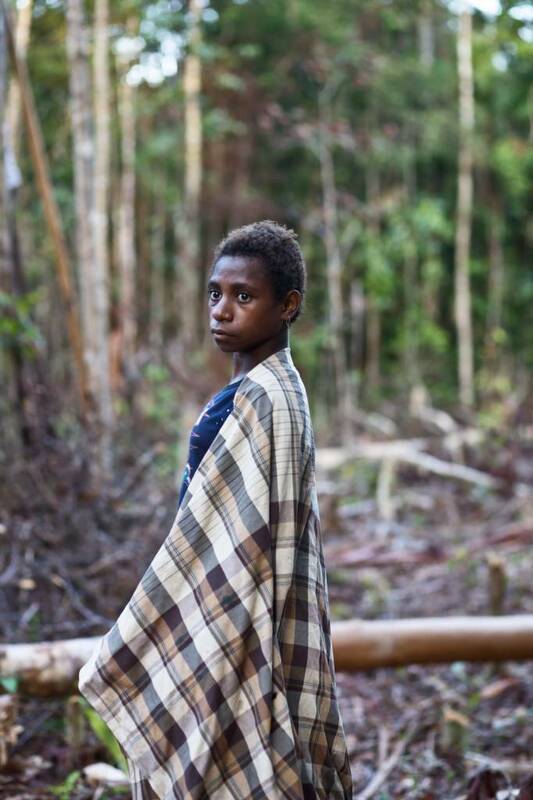 This girl proudly stands in the middle of the rainforest, caught by the photographer in the spur of the moment. Koos Breukel (b. 1962) is among the best-known Dutch portrait photographers. He photographs everyone from children and students to writers, yachtsmen and transsexuals. Last year he created the first official portrait photographs of King Willem-Alexander and Queen Máxima of the Netherlands. Breukel studied at the Royal Academy of Arts in The Hague from 1982 to 1986, after which he began working as a freelance photographer based in Amsterdam. He specialized in portrait photography and his work was soon being published in magazines and newspapers in the Netherlands. He had his first solo exhibition at the Noorderlicht Festival in Groningen in 1991. In 1994 he published his first monograph, The Wretched Skin. The book Hyde, with photographs of his good friend Michael Matthews who was terminally ill, was published in 1997, to be followed in 2001 by Photo Studio, and Cosmetic View in 2006, all published by Basalt/Van Zoetendaal Collections. For his exhibition Among Photographers at the Museum of Photography in The Hague in 2007, Breukel combined portraits of 58 photographers with one or more photos from the oeuvre of each of them. Koos Breukel has held solo exhibitions at the Nederlands Foto Instituut in Rotterdam, Museum De Hallen in Haarlem, the Kunsthal in Rotterdam, Pori Art Museum in Finland and Bergen Kunstmuseum in Norway, plus other venues. He has participated in many group shows in institutions worldwide, including Ropongi Louis Vuitton, Tokyo; Kumho Museum of Art, Seoul; Institut Néerlandais, Paris and Maison Européene de la Photographie, Paris.